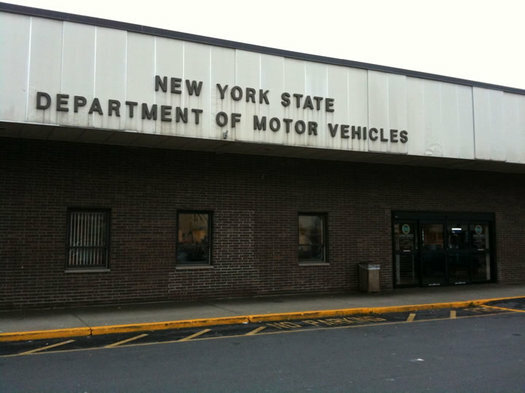 Filed under good to know: The Albany office of the NYS DMV is one of the locations that offers the ability to schedule a reservation to handle a handful of different in-office tasks, ranging from getting a license or ID card to replacing registration. We scanned through the process today and it looks like it works pretty much like any other sort of online reservation system, with reservation slots available by 15 minute increments. As of this morning it was still possible to schedule a reservation for the same day. The Albany office is the only Capital Region location currently listed for having the ability to handle online reservations. By the way: There's a lot of DMV stuff you can do online now, too. 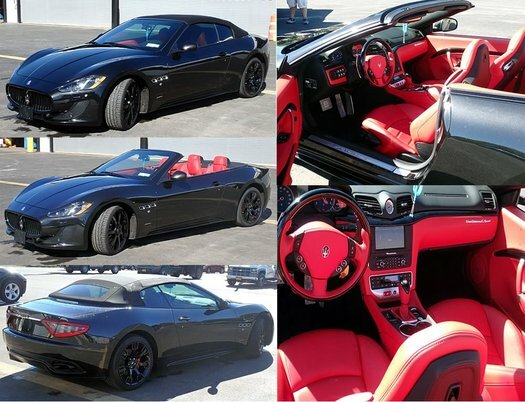 Noted: The state Office of General Services is set to auction a 2014 Maserati Gran Turismo at a vehicle auction scheduled for November 2 at the Harriman State Office Campus. This isn't the first time OGS has sold seized items. 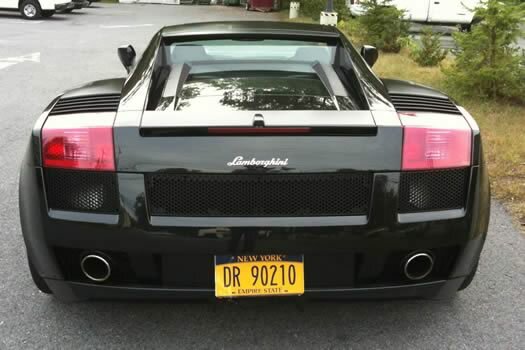 Last year, a 2013 Mercedes-Benz G63 AMG and a 2012 Audi A7 Prestige Quattro that were seized in 2013 following an investigation into a $3.2 million Medicaid fraud case in Brooklyn were sold at a state surplus vehicle auction in Albany. In the summer of 2014, several pieces of men's jewelry and a Rolex were sold on the NYSStore.com eBay site after they were confiscated from a suspected drug trafficker on Staten Island. Later that year, a 1971 Camaro that was reported stolen in 1976 and was seized by New York State was among vehicles sold at a state surplus vehicle auction in Poughkeepsie. By the way: The Blue Book estimated value of that Maserati is roughly $78,000. As you might have seen in the past, the state routinely auctions surplus equipment and other items via eBay. Because maybe that Maserati needs a filing cabinet. The clip embedded above is dash cam video posted by Youtube user T M26 from Quay Street on the Albany riverfront this past Tuesday. (It's that street that runs along river side of 787 by the USS Slater.) And, well, you can see what happens. Albany Police Department public information officer Steve Smith says the driver of the BMW was ticketed for unsafe passing. And three children on the school bus were taken to a hospital as a precaution -- Smith says there were no major injuries. 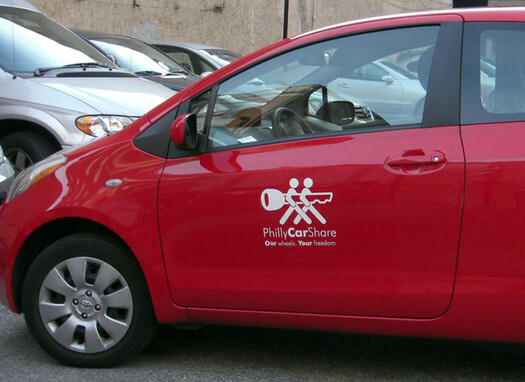 The Capital CarShare vehicles each have names -- we're pretty sure this one is "Huybertje the Hyundai." The winners will be featured in a monthly blog to document their experiences over the course of the year. There are a handful of rules involved with the contest, so be sure to review them carefully if you're interested. The situation isn't going to work everyone, but if you've been thinking about giving up your car -- or if you and a partner have been thinking about becoming a one-car household -- this could be a good opportunity. AOA is a media sponsor of Capital CarShare. 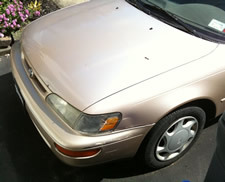 Where to get car upholstery fixed? I just acquired an older car with rips in the driver's seat. Is there anywhere local that can redo the seats and save me the expense and trouble of finding/buying good used ones? Considering how many cars there are, we figure there's usually a place/way for fix almost everything on them. (Whether it's cost effective is another question...) So we're curious to hear people's thoughts on the best way to go about this. Got a suggestion for Mike? Please share! And if you're recommending a specific repair place, bonus points for a sentence or two about why you're mentioning that place. I have a 2007 SUV with ~80,000 mi and some of the exhaust system is starting to crack open. 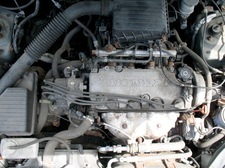 This includes a crack in the pipe that connects the main engine exhaust to the catalytic convertor. It's a time bomb that I need to deal with soon, preferably yesterday. I had it in for other service at the dealer and they estimated a repair at $1000. Now here's the tricky thing: they said the catalytic was fine, but that they couldn't save it there. The service manager off-the-record mentioned that a good 3rd party exhaust place might be able to save the catalytic and re-use it, which would cut the cost of the work in half. So... where can I find such an exhaust system expert??? 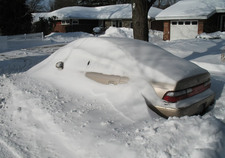 The winters here -- and the all the muck and salt -- are hard on car exhaust systems. And we can say from firsthand experience (alas), the fix is often expensive. So, have a shop where Martin might be able get this fixed right -- and at a fair price? Please share! And bonus points for a sentence or two about why you're recommending that shop. 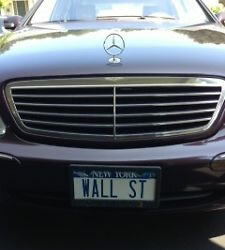 A 2002 Mercedes located in Saratoga Springs with the New York license plate "WALL ST" -- the "most sought after plate in New York" -- was up for bid on eBay this week. The bidding closed this morning without a single bid -- the reserve price was $12,000. The seller told CNN Money he got the plate back in the 1970s when the state first started issuing more flexible vanity plates. Curious about the (attempted) markup for the vanity plate, we looked up the Blue Book value for the car: $5,529 in very good condition. So, that's more than $6k for the plate. Which is... a lot. 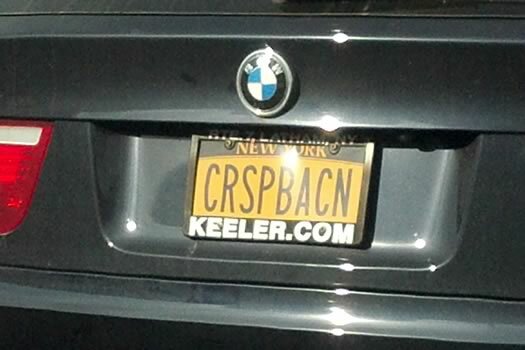 This got us thinking about the question of who actually owns a license plate -- the registrant or the state? 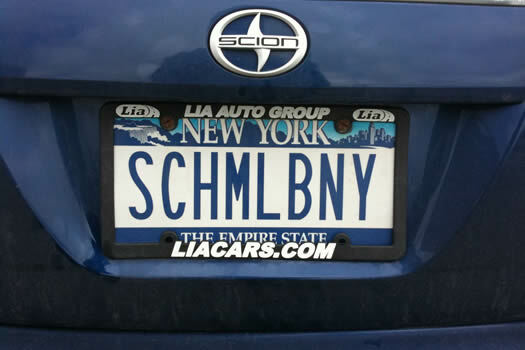 You know, if you sell a car and don't transfer the plates to a new car, you're supposed to turn them back into the state. 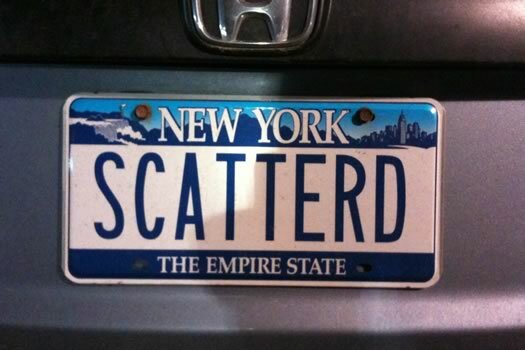 (It appears to be possible through some process to transfer a vanity plate to another person in New York.) This question came up recently in a Supreme Court case in which the state of Texas argued it shouldn't have to allow the logo of of a group called the "Sons of Confederate Veterans" on a license plate because the speech on a license plate is technically that of the state, and not the car owner. photo via eBay item "2002 Mercedes-Benz S430 New York State Tag: 'Wall St'"
I'm looking to rent a 7+ passenger van for 24 hours. Everything I'm looking at is too fancy - it just needs to be functional for short-distance transportation, not the newest Dodge SUV. Ideally I would like this to be a recurring rental (once or twice a month), so I'm hoping to find someone reliable. Any leads? We're curious if there are options beyond the typical rental companies. Got a suggestion for Eva? Please share! 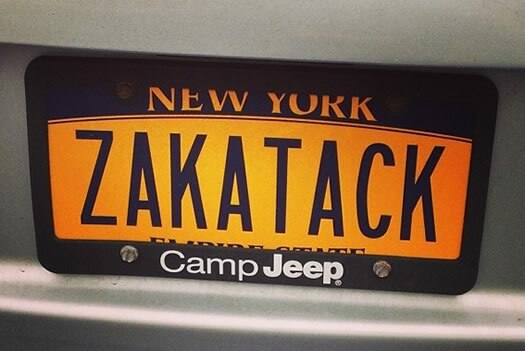 Sometimes we like to gawk at custom license plates. 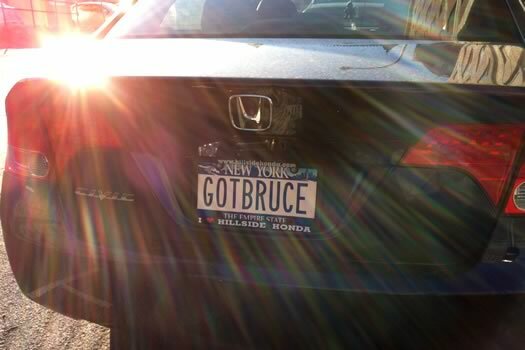 We noticed this car in the Honest Weight parking lot the other day. 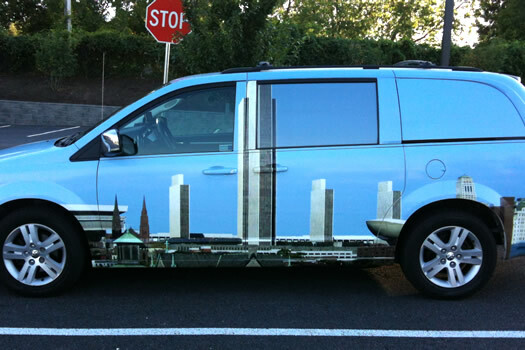 It was wrapped -- both sides -- with an image of the Albany skyline. 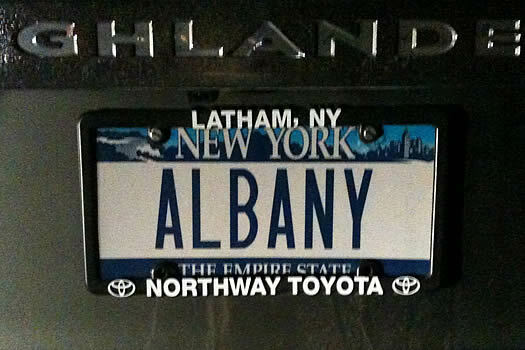 We looked around a bit and couldn't figure out if it was for some business -- or just someone who really liked Albany. The Capital Region is just a few weeks away from the start of its first independent car sharing operation. Capital Car Share is aiming to start around the end of June, marketing and outreach coordinator Nnenna Ferguson told us today. The org will begin with 8 vehicles available for per-hour use, distributed at 8 "parking hubs" around the city of Albany. The campaign to start a car sharing org in the Capital Region has surfaced again and is looking for support. 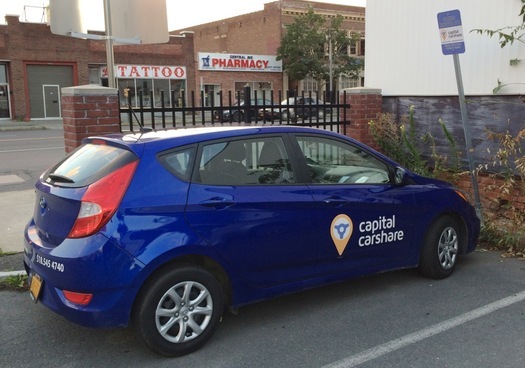 Capital CarShare is aiming to raise $20,000 by the first week of June via crowdfunding. The drive is a "flexible funding" campaign on IndieGogo, meaning the the org will get whatever money is pledged, whether it makes the goal or not. Capital CarShare (CCS) was developed by a small group of passionate, environmentally-conscious, upstate New Yorkers looking to bring shared mobility to the dense region of Albany. 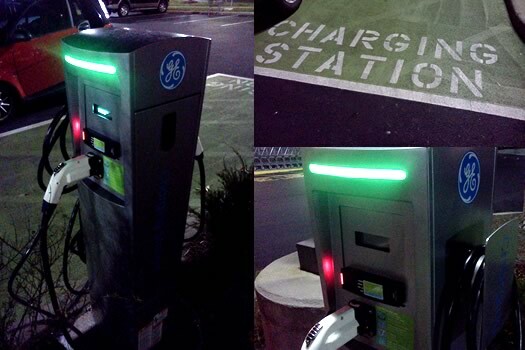 With CarShare, community members will have easy access to a vehicle for use by the hour or by the day. Our goal is to launch a fleet of neighborhood cars by June, but we need your help to #getthere. We need to raise $20,000 to help us purchase a fleet of eco-friendly vehicles, fund our first advertising campaign, and hire staff members. The push for car sharing in Albany goes back years. Advocates have pitched it as a way to provide flexible, affordable transportation while addressing parking and environmental issues. But the plan hasn't made it all the way to implementation here, so far. And apparently that's not uncommon for smaller cities -- though a few, such as Buffalo, have made it work. Could you ask your readers if they could recommend a driving instructor, specifically in Albany, who could teach an older person who is very nervous when learning to drive? I took a few lessons years ago and was very stressed out. I still want to learn before I get too old. A bunch of years ago we had a question about driving schools, but it was in reference to teens. Things change. And also, we're curious if there are any driving instructors who specialize in -- or just happen to be really good with -- adults who are taking up driving. Got a suggestion for Baby Boomer? Please share! 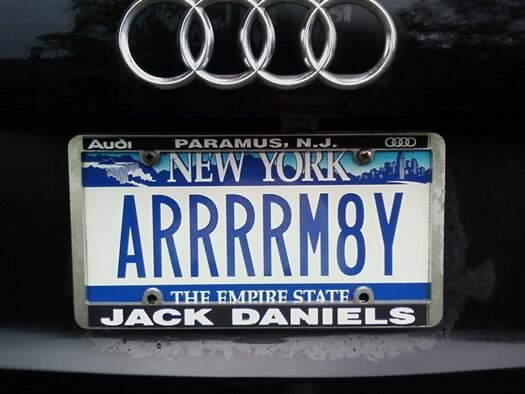 Speaking of license plates... we like to gawk at custom license plates. When is that low, low price not the price that you can actually get? That question was at the center of a state attorney general's office announcement today that it's reached settlements with six Albany-area car dealerships on what the AG's office say were deceptive advertising practices. From the press release: "The dealerships widely promoted sale and lease prices that were illusory because they reflected discounts or rebates that were not available to most consumers, and thus, were not the actual sale or lease price." The link above includes the dealerships named and some of the promoted discounts the AG's office took issue with. The short story: It pays to read the fine print -- twice -- and to be skeptical. 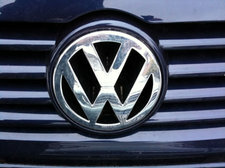 The AG's office says the dealerships have agreed to pay fines and reform their practices. A seventh dealership is getting a notice about the AG's office intent to sue over the issue. 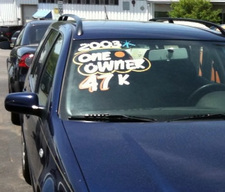 So, given the savvy of the AOA crowd, we're curious: What's your advice for the car buying process? Tips for trying to get the best price (or, at least, not being taken advantage of)? 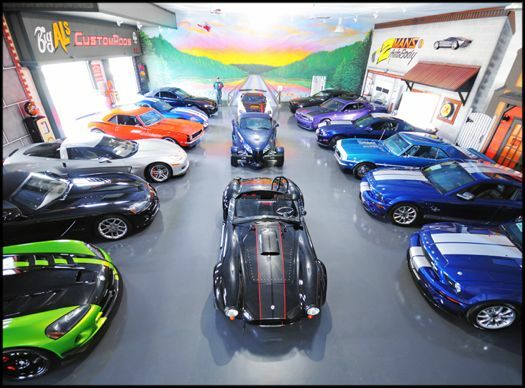 Local dealerships you can recommend after having solid experiences there? Earlier on AOA: A good place to buy a used car? 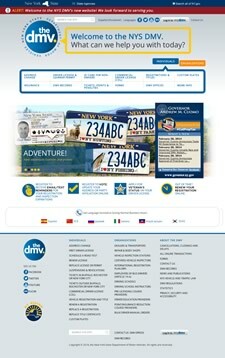 The Cuomo admin rolled out a new website for the state DMV today. Is this a big thing? Maybe not. 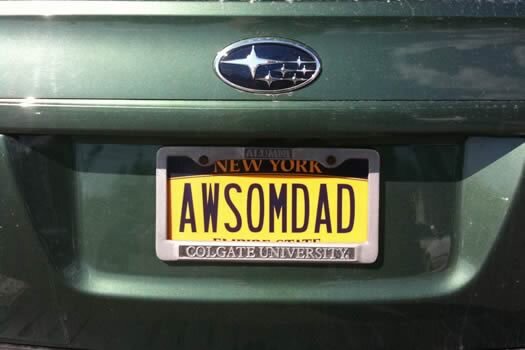 But it just seems like one of those things the DMV's website should include. All that said, the new site does look a lot better. 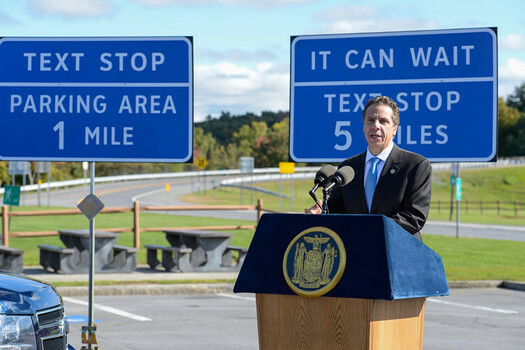 The modern world: rest stops are "text stops"
The Cuomo administration announced today it has designated 91 "texting zones" along the Thruway and state highways. 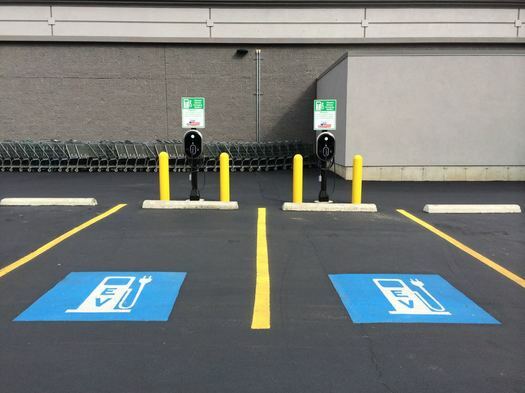 The zones are already-existing rest stops, parking areas, and park-and-ride lots. (Example: The New Baltimore Thruway service area near Albany.) They're designated by 296 new signs indicating their distance (above). So, if ever you wondered, "I just got coffee at this Thruway service area, might I also text someone while parked here?" -- you now have definitive signage indicating an answer: Yes, yes you can. Your travels will no doubt be smoother without this question burdening you. New York State has strengthened its laws against phoning/texting while driving over the last few years -- it's now a primary offense (meaning you can be pulled over for it specifically), and a ticket is now worth 5 points. Also the Cuomo admin says State Police have been using unmarked SUVs to peer into vehicles to see if people are texting while driving. Distracted driving is an important issue. 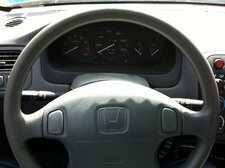 There's research that indicates using a phone while driving is like having a .08 blood alcohol level, the legal limit. Also: it irks everyone else when you don't start moving at the green light because you're looking down to text. Today's moment of LOOK OUT! : The Albany County Sheriff's Office says a taxi driver reported falling asleep at the wheel Tuesday afternoon before crashing into the Albany County Justice Center on Chapel Street in downtown Albany, almost hitting a pedestrian. Thankfully, no one was hurt. The incident was captured on a security camera (above). The operator reports that he had little sleep the night before and was exhausted and was going to contact his employer, Black and White Taxi, to see if he could leave work early. He further reported that he had just dropped a passenger off. The Albany County Sheriff's Office investigated the crash and fortunately nobody was injured during the incident. 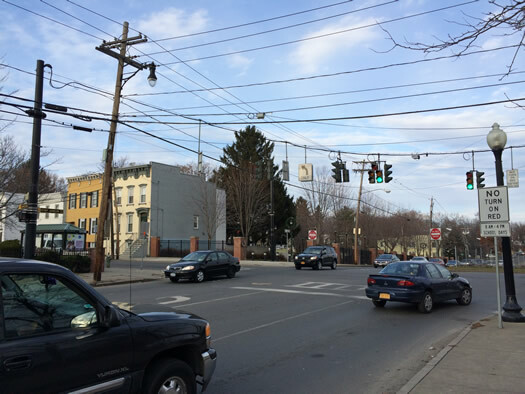 The operator was ticketed for Failing to Keep Right and is scheduled to appear in Albany City Traffic Court to answer the charge. Most states -- including New York -- don't have a "driving while drowsy" law. But there's been a bill circulating in the New York legislature for the last few years that would make it a misdemeanor, and a felony if the crash results in a person's death. Spotted today at New Scotland and Holland avenues in Albany. 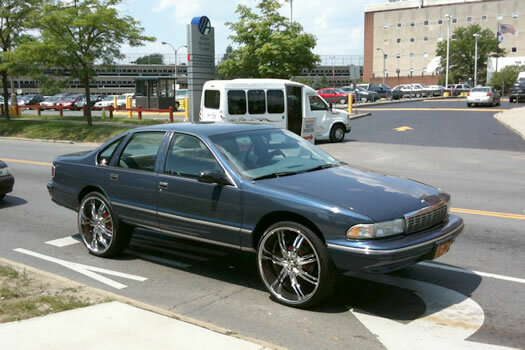 It's a Chevy Caprice with plenty of ground clearance. The clutch in my 2001 Corolla recently celebrated its 170k milestone and has decided that it's time to retire. I was wondering if any of your readers had a recommendation for a good transmission shop in the area. I'm located in Troy, so the closer the better, but I'll go wherever I need to for the right service with the right price. 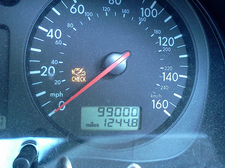 First, Stephanie, let us congratulate you on getting your car to the 170k mark. 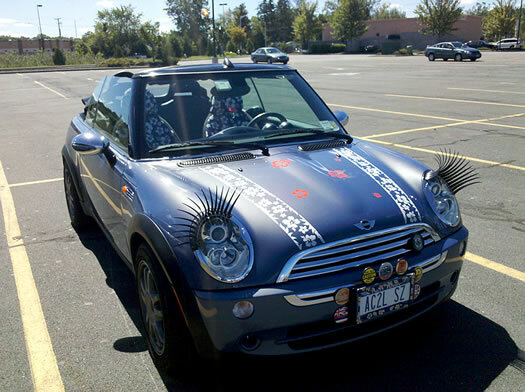 And, second, let us offer our condolences for its clutch.Transmission repair/replacement can be an expensive job. Got a suggestion for Stephanie? Please share. + Ask AOA: Where to get a "check engine" light read? The state DMV is increasing the penalty for getting caught texting while driving, the Cuomo admin announced today. The penalty for TWD increases from three points on a license to five. And Andrew Cuomo has also directed the State Police to step up enforcement during the summer. Cuomo is proposing a new law that would include a 60-day license suspension for new/young drivers caught for TWD, and temporary revocation if their caught again within 6 months of having their license restored. New York has strengthened its law against using a mobile device while driver over the last few years. In 2011 the number of points on a license for texting while driving was increased from two to three, and TWD became a primary offense -- meaning a driver could be pulled over specifically for that. As a result, there's been an upswing in the number of people getting tagged for it. 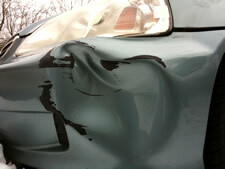 + From 2005 to 2011, there has been an approximately 143% increase in cell phone-related crashes in New York State. In that same time period, there has been an approximately 18% decrease in alcohol-related crashes in New York State. + In 2011, there were 25,165 fatal and personal injury crashes involving distracted driving in New York, compared to 4,628 caused by alcohol-related driving. + In New York State, the number of tickets issued for texting-while-driving (30,166) approached the number of DWI/DWAI arrests (43,954) in 2012. 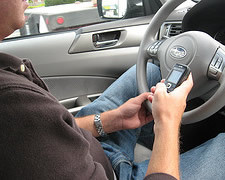 In fact, between 2011 and 2012, there was a 234% increase in the number of tickets issued for texting while driving. In the same time period, there was a 4% decrease in the number of DWI/DWAI arrests. The NYT produced a good series about distracted driving a few years back. Right, so, points on a license... how's that work? Points are assessed by the DMV based on violations such as speeding (3-11 points, based on how far above the limit) or running a stop sign (3 points). Rack up 11 or more points in an 18-month period, and it's license suspension. The listing has more photos. GREAT SCOTT! 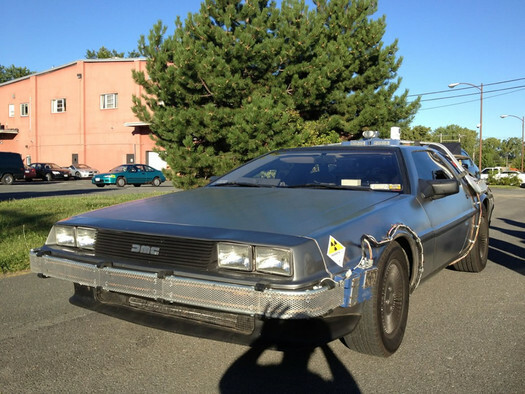 You might have seen the local DeLorean tricked out to look like the time machine from Back to the Future. It's now for sale. 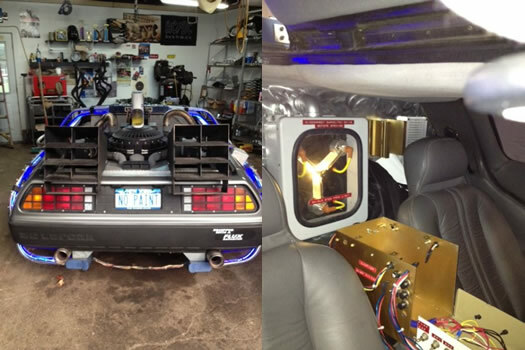 Delorean Time Machine that is approximately 75-80% Complete...car needs to be completed. Mechanically, I have pulled the motor and Trans, replaced all seals, gaskets, injectors, clutch, axels, bearings, shocks, springs, custom Stainless Exhaust......list goes on. Car currently has 37k and is in Storage. As far as the Time Machine Stuff, it has working Fog Machines, led Lights that are powered by 2-12v batteries and a 3000 watt inverter. I have taken some liberties with the replica while being very close in resemblence it is not a 100% accurate movie reproduction, if you would like a 100% replica.....you can get one and spend upwards of $60,000 from Video Bob in Texas, either way it is scary the amount of attention it gets whether on the highway or at a gas station, car show....basicly anywhere it goes! Asking price: $25,000 (firm). And it has a flux capacitor. photos: Craigslist item "Delorean Time Machine Replica"
The signs have been up for a while -- covered and uncovered. Albany's residential parking permit system takes effect January 15 (Tuesday) -- and today the Albany Police Department distributed official maps of the street segments covered by the system. The maps are post jump -- they'll will be familiar if you've been following the issue. The parking permit system will be in effect from 8 am-6 pm Monday through Friday (holidays excluded). People without permits will still be allowed to park in any spot -- but there will be a two hour time limit. Violations of the system are a $50 ticket with a $15 surcharge. 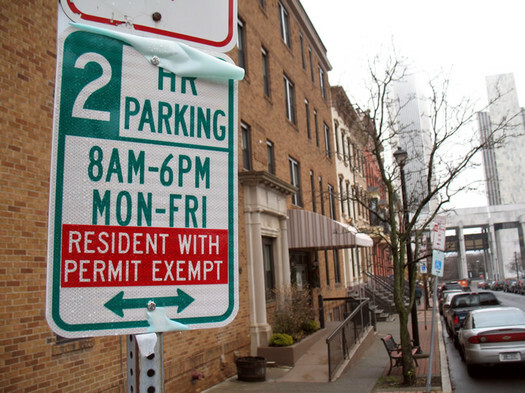 Alternate side parking, snow emergencies, and other similar regulations trump the permit system. Here's information on how to get a permit (doc). They're $25. Permits are also available for non-resident business owners ($25, limit 3) and visitors ($10, one per household in the covered zones). The city is taking complaints related to system via an online form. More info at the city's website (scroll down). Any recommendations on good, honest, and reliable used car or new car dealerships in the capital region? 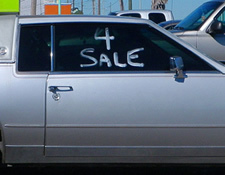 There are (at least) two parts to buying a car: the actual car (Is it an OK car for the price?) and the experience of buying it (Lots of pressure? Are they helpful?). 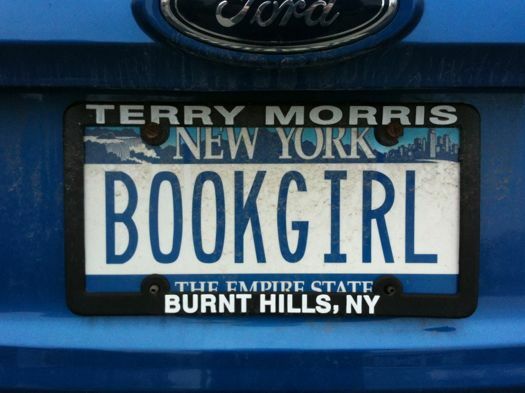 So, any suggestions for Katie -- about where to go in the Capital Region, or even just tips on what to look for? If you have a suggestion for a specific place, please include why you like that place. Does the flux capacitor work? Here's a bigger version of the photo. Absolutely no idea. People milling around the car had no idea either. No Doc Brown sightings either. Brian's posted a few more photos on Twitter. In case you're wondering, yes, the car is equipped with a Mr. Fusion. The Albany Common Council approved the final slate of streets for the new residential parking permit system Monday night. A map of the three zones is above. After the jump: a list of the designated streets with individual zone maps -- along with a copy of the resolution designating them. Not every parking space in the designated areas will be subject to the permit system. But there many be some whole blocks designated within the zones, according to councilman Richard Conti, who headed up the design of the system. The state law allowing the system limits it to no more than 2,750 spots. The target start date for the permit system is October 1. The spaces will be subject to permit parking from 8 am-6 pm on weekdays -- though two-hour parking will be allowed for people without permits. The permits will cost $25, and permit holders will get guest passes. 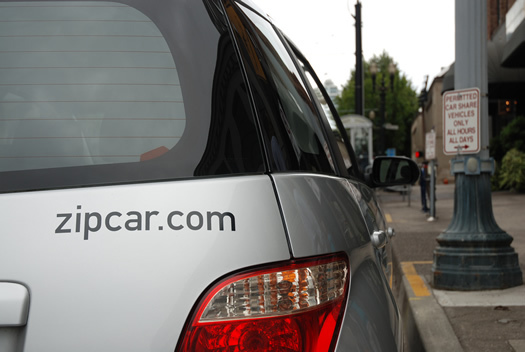 Zip Car's car sharing program is popular in other cities around the U.S. I'll admit it -- life in the capital region is a lot easier with a car. A car makes going on that big shopping trip, going apple picking or going for a hike at Thacher State Park a lot more convenient. While CDTA buses are a good option to get to many destinations, public transit doesn't take you everywhere you need to go, so a car can be a necesssity. But a car can also be a headache -- and a lot of expense. Think about the amount of time the car you're paying for and insuring sits idle -- just waiting for you to decide to go somewhere. Bundle your insurance, gas, parking and maintenance costs together into an monthly rate and it can add up pretty quickly. $300 a month? $500? That's one of the reasons we're working on car sharing in the Capital Region . We stopped by the lot on the Harriman office campus earlier this week to check out the inventory. 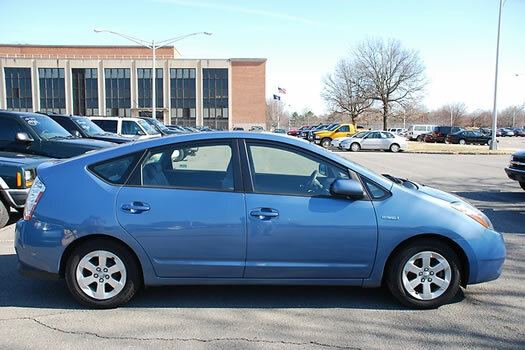 We were especially interested in the 2008 Priuses (Prii?) 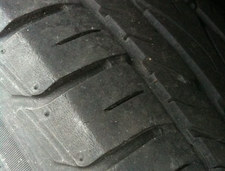 that were available because even though they had a lot of miles, they seemed like they were in pretty good shape. Of course, if you were to buy one, you'd have to do it "as is" -- without driving it. So, what sort of discount might people expect for buying under that situation? And did they score a deal? To get some sense of that we compared the final bids for the group of 2008 Priuses against the Kelley Blue Book value for the vehicles. The blue line is the reported Albany area average price per gallon, the red the reported national average price. Today's chart: From AlbanyGasPrices.com, it's a chart of Albany area gasoline prices over the last year. In what's been painfully obvious if you've been filling up recently, there's a been a steep rise since December -- about 15 percent. But the recent run up follows what was more or less 8 months of declines. In fact, prices are still a bit below last year's high in April. By the way: There are a handful of stations charging more than $4/gallon, according to AlbanyGasPrice.com's crowd-sourced reports -- including a station in Guilderland reportedly charging $4.16. The lowest price reported today in the core Capital Region was 3.83 in in Ballston Spa. Where to get car windows untinted? Is there a good place in the area to have car window tint *removed*? I bought a car with tinted windows a few months ago from someone in Brooklyn. I was recently informed on the side of the Northway by a friendly State Trooper that the tint is much darker than the law allows. I never particularly liked it, anyway, but I'm not sure either a) how to remove it myself or b) where in the area is a good place to have it removed. Suggestions on either would be appreciated. Fun fact: State Police actually have an instrument they use to measure window tint. Windows that allow less than 70 percent of outside light to pass through are illegal. We're guessing this is a fact that Mike would have rather not learned first hand. And we do hope he can avoid any more roadside discussions with the State Police. 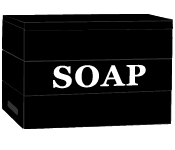 So, have a suggestion for Mike? Please share! You'll no doubt be heartbroken to find out that "ELI4EVER" won't fit on the Giants plate. 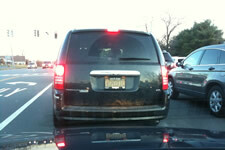 The state Department of Motor Vehicles unveiled a Giants 2012 Super Bowl Champions custom plate today. They're $60, plus a $31.25 renewal fee, non-customized. 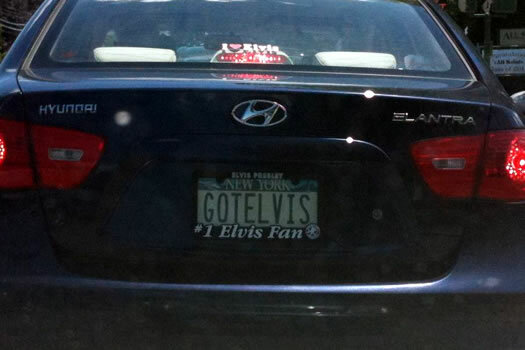 If you want to express your love for Eli with a custom plate number, that's another $60. Speaking of this stuff: Will the city of Albany update those "Albany / Mayor Jennings welcomes you / Summer Home of the Super Bowl XLII Champion New York Giants" signs now? Maybe it's a good time to swap the signs for something along the lines of simply, "Welcome to Albany / Capital of the Empire State." The light that wouldn't turn. 1. 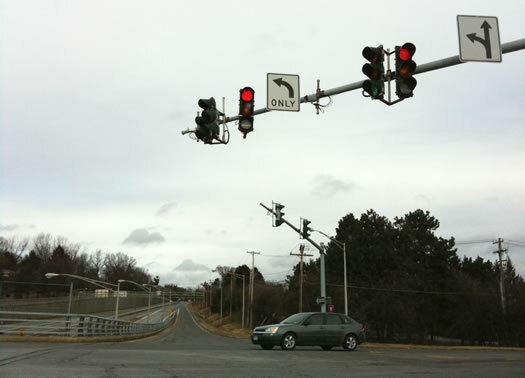 Turn left on red. 2. Go around one of the cars ahead of you so you can turn left on red. 3. Move to the right lane so you can turn right on red. 4. Sit there and hope that the light will change. Someday. I'm curious about what you would have done in that situation. Because this happened to me the other day -- and the choices made by the other three cars in line surprised me. It made me wonder I had missed some memo about community standards regarding slow-cycling/possibly broken traffic lights. Here's how it shook out. New (to us) car doesn't have satellite radio like the other. What should our presets be?? Or, to ask Cap2Cap's question a little differently: What are the preset stations on your car radio? A long way from the ZIP code. Elvis is alive. 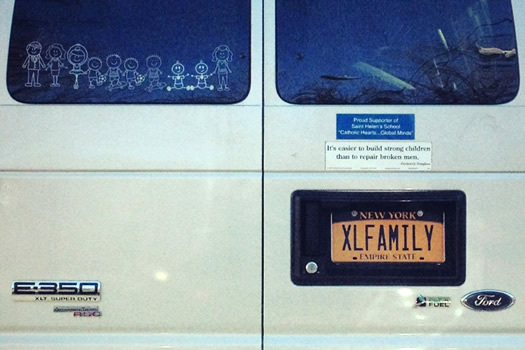 And in this person's trunk. 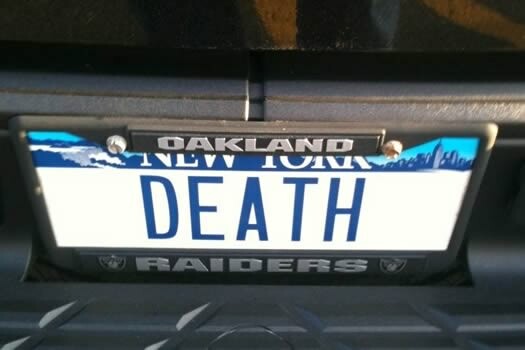 Death drives a pickup truck. Who knew. 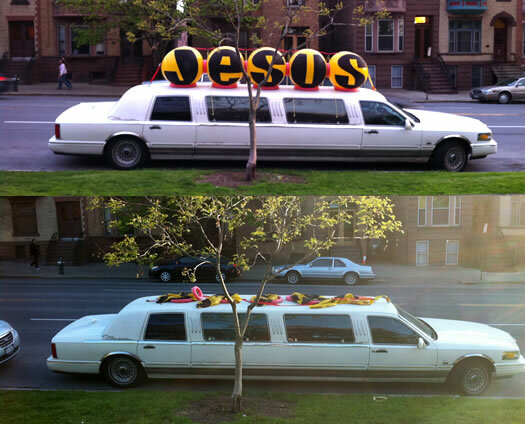 Stephen sent along these sort-of before-and-after photos of the oft-sighted and now Albany-famous Jesus Limo. Rob got the scoop on the limo last month -- it belongs to a church in West Hill. 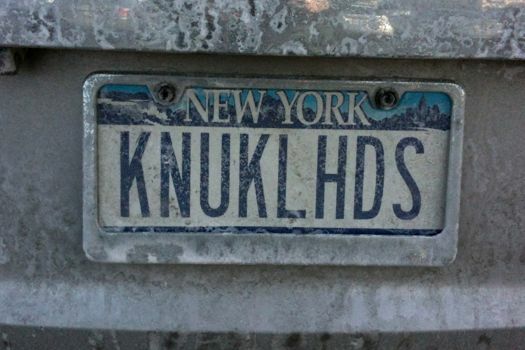 As is now very well established, we like to gawk at custom license plates. 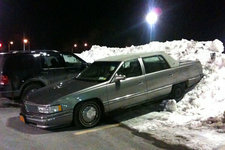 Bob posted this comment Friday afternoon after the pic of the car parked against a parking lot snow pile. That makes calamity of so long life...in a shopping mall. By the way: here's the original from Hamlet. 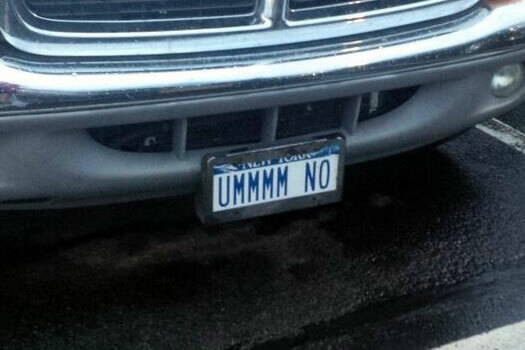 Does anyone know who has this plate? And we have an answer! 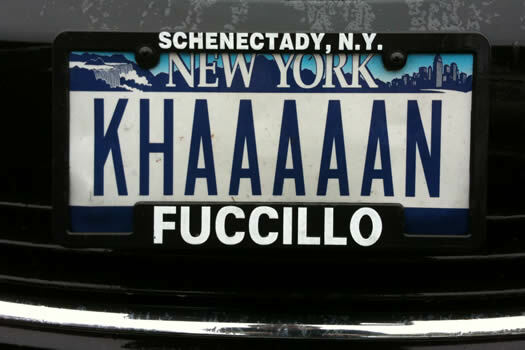 As is now well established, we like to gawk at custom license plates. And we know you do, too. Where to get a remote car starter installed? I am looking to get a remote car starter installed and I was wondering if AOA or its readers had suggestions for shops they've had experience with. I can't find much in the way of reviews online. Thank you! Got a suggestion for Kelly? Please share!